No shirts could be tucked in. By anyone. Thomas got to spend an afternoon with Bell, Biv and Devoe, but at separate times. A hot dog cart had to be on the field at all times. Thomas got to wear a pair of Marky Mark's used gym shorts during the game. Thomas got to unveil his new, foppish throwing style. Lisa Kennedy had to agree to tuck a batting glove into Thomas' waistband. 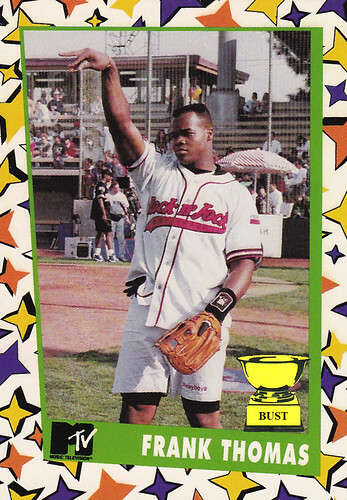 Any sports cards made from the event had to look like an episode of "The Fresh Prince of Bel-Air."